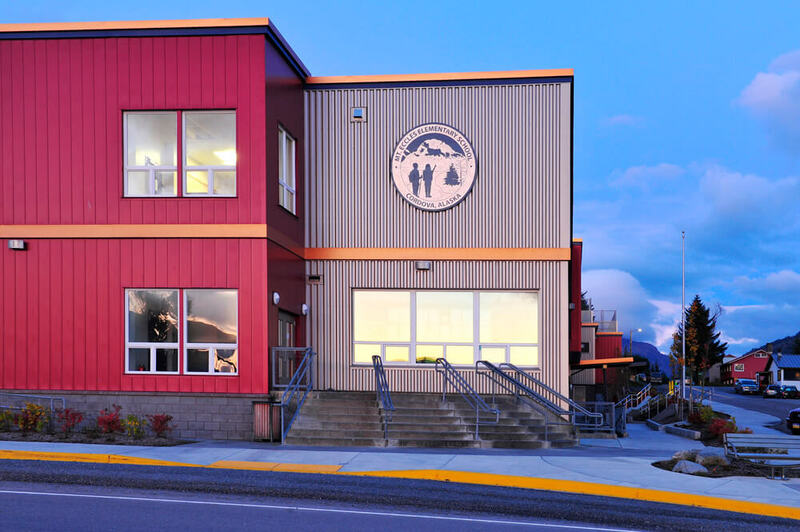 This comprehensive upgrade included the complete renovation of the existing school structure, and major new construction to add a full gymnasium, stage, and music instruction. Several previous additions and modifications to this 1950s school had left it with a confusing entrance far from the public spaces and office. The focus of the reno/addition was to remedy this with a new central entrance that opens directly to the public spaces of the Commons, Stage, and Gym with easy supervision from the Office. 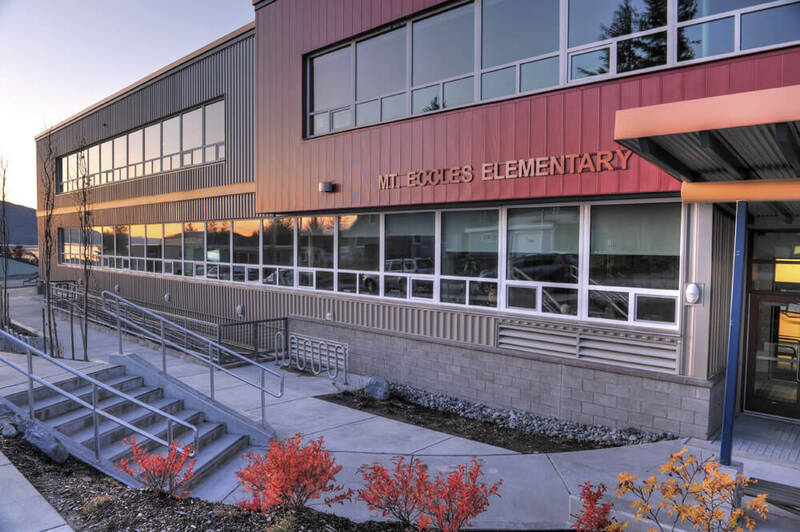 Realizing that the sloping site - could be used as an advantage, the design team excavated the slope site, buried the gym, and extended the playground up and over the gym roof. The renovation and new construction focused on energy efficiency with a greatly improved thermal envelope.